CURRENT RANGE: Small isolated populations in southeast Asia. CURRENT THREATS: Habitat loss and the illegal wildlife trade (both for skins and for pets). 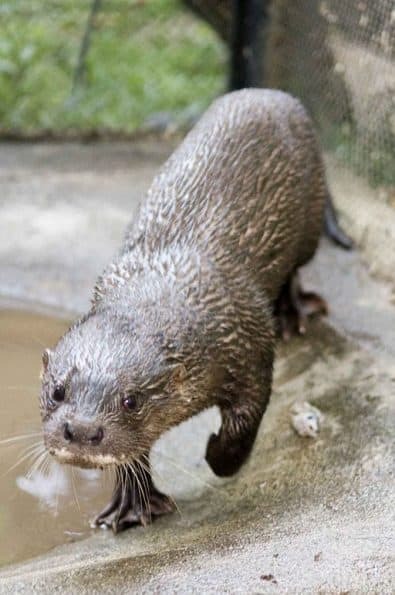 WHERE YOU CAN SEE THEM: There is just one Hairy Nosed Otter in captivity– a rescued male at the Wildlife Alliance’s Phnom Tamao Wildlife Rescue Centre in Phnom Penh, Cambodia. What is a Hairy Nosed Otter? Otter scientists tend to be quite simple when it comes to naming species. The Sea Otter lives in the sea, the Giant Otter is huge, the Congo Clawless Otter has no claws and lives in the Congo basin, and so on. So yes, you guessed it, the Hairy Nosed Otter has hairs on its nose! This is one of the rarest otters in the world, confined to southeast Asia. In the early 20th century they were fairly common throughout the region. But by 1979 their population had been greatly reduced. In 1998 I attended a meeting of the IUCN Otter Specialists Group in the Czech Republic. People were there to talk about all 13 species of the world’s otters, but there had been no reports of the Hairy Nosed Otter for 10 years and so it was believed to be extinct. However, Dr. Budsabong Kanchansaka believed there could still be Hairy Nosed Otters surviving in jungles in the south of her native Thailand. During a research trip supported by the International Otter Survival Fund (IOSF), she visited the Phru Toa Dang swamp forest and spotted an otter crossing the road. Was it a Hairy Nosed Otter? She couldn’t be certain. This was the confirmation we needed to prove that these animals were still alive in the wild. There were rumors that they may exist in other countries, including Vietnam. 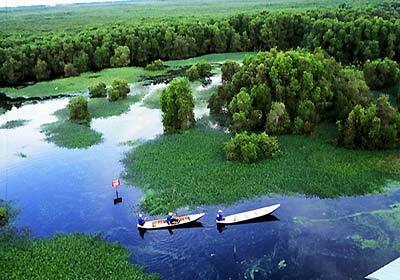 In 2003 I had the opportunity to work with Dr. Dang in the Mekong Delta, spending most of our time in the U Minh Thuong reserve. It’s mainly Melaleuca swamp forest, which seems to be the preferred habitat of the Hairy Nosed Otter. These otters were later confirmed to exist in Cambodia’s Tonle Sap Lake as well as Indonesia and Malaysia’s Taman Negara. This is particularly interesting, as they were found in lowland tropical evergreen forest rather than swamp forest. It is also possible that they may still be present in Laos and Myanmar. Hairy-nosed otters are long, slender animals with an incredibly long tail. So they look almost snake-like. The fur is mostly dark with yellow or white markings on the chin and neck, while their feet have claws and webbing. In Cambodia they’re known as the “black otter,” to distinguish them from the “grey otter” or Smooth Coated Otter. So what do we actually know about this species? Very little, to be honest. There have only been a few field studies into their natural ecology and behavior. The only video footage of this otter ever filmed in the wild was taken by Dr. Budsabong in Thailand. We know that they eat mostly fish. But, like all otters, they’ll take whatever they can get, such as snakes, frogs, lizards, crabs, birds and small mammals. They seem to live mostly as solitary animals, although groups of 4-6 individuals have also been seen. In some areas they’re mostly active in the early morning and late afternoon. But camera traps have also shown them to be active from midnight to the early morning. One unusual feature is that, unlike most otters, they don’t seem to have regular toilet areas. They’ll often deposit their droppings (spraint) on fallen logs. Why is the Hairy Nosed Otter Endangered? Hairy-nosed otters are regarded as “Endangered” and face many threats to their survival, including habitat destruction, agricultural pollution, construction of hydroelectric dams and increased fish farming, with an associated increase in human/otter conflicts. Then there are the huge forest fires in Sumatra and Malaysia, caused by clear felling for palm oil plantations. But one of the biggest threats to their survival is the illegal wildlife trade, which is huge in Asia. 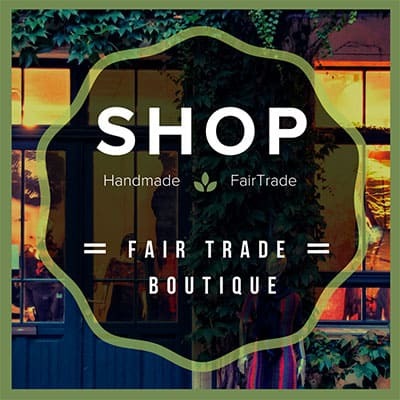 We are all familiar with the trade in ivory, rhino horn, tigers, etc. But otters?! The sad fact is that, for every tiger skin found, there are at least 10 otter skins. 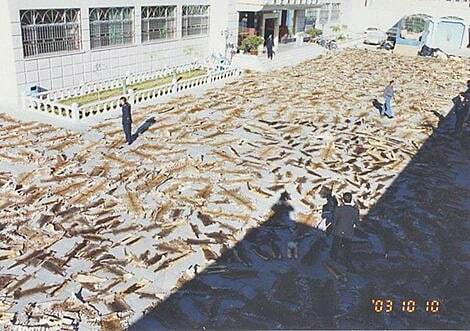 One confiscated haul in Tibet had an astounding 778 otter skins. In 2007, staff members from Conservation International spoke to a Cambodian fisherman and otter hunter from Tonle Sap Lake. He had caught and sold 49 otters in 4 years: Of these, 23 were Hairy Nosed Otters. A trader in Phnom Penh also had six Hairy Nosed Otter skins, which had been misidentified as Smooth Coated Otters by local authorities. There is also a big market for Otters as pets. 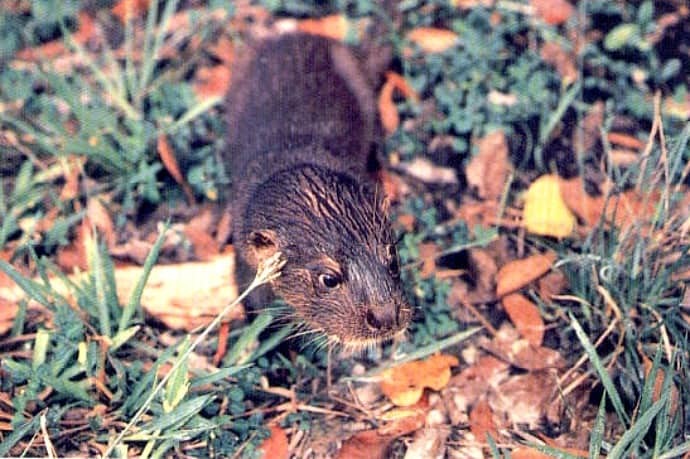 Most of the time this trade involves Asian Small-Clawed Otters, but Hairy Nosed Otters have also been found. Sadly, they nearly always die, as they seem to be very vulnerable to poor water quality. So the pressure on the Hairy Nosed Otter population is very high. The fur trade is threatening all species of Otters in Asia. But, because their population is already so small, any further threat could obviously push Hairy Nosed Otters to extinction. What’s being done to save Hairy Nosed Otters? If we want to help Otters, we have to help people realize that their presence indicates a healthy environment, which is important for all species (including our own). We also have to help those who find themselves in conflict with Otters through fishing. So IOSF has been holding a series of training workshops for the next generation of Otter conservationists, who can carry out surveys and education/public awareness programs within their own communities. In March 2009 a workshop was held in Cambodia. Soon after, a fisherman found a Hairy Nosed Otter caught in his nets and took it to his community worker. This was a huge positive step, as this man could have sold the animal for about $200! This cooperation between the local communities and Otter conservationists is essential for the long-term survival of the species. The Otter became known as Dara, meaning “star” in the local Khmer language. 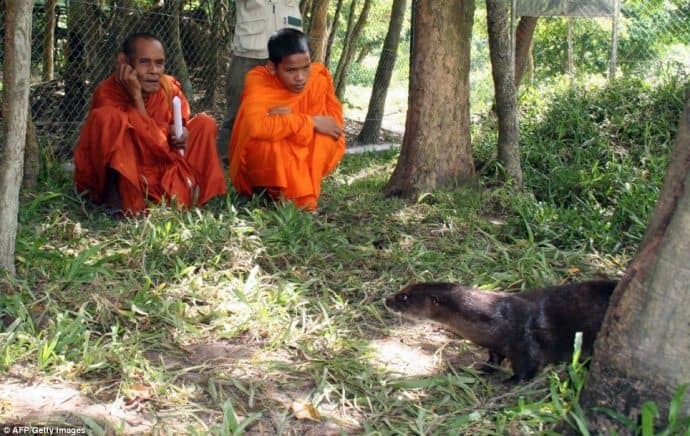 He became an ambassador to the local people for Otter conservation, cared for at the Phnom Tamao Wildlife Rescue Centre. When he relocated into his new enclosure, the Buddhist monks blessed his new home, as is customary for people when they move. Sadly, Dara became seriously ill and died, possibly due to poor water quality. 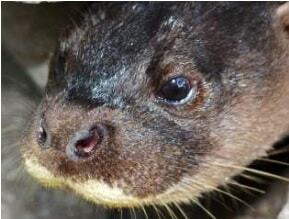 At the end of 2011 another Hairy Nosed Otter, known as Pursat, was taken to Phnom Tamao. Staff from Wildlife Alliance bring fresh water daily to ensure that he doesn’t encounter the same problems as Dara. He’s the only Hairy Nosed Otter in captivity, regarded as an ambassador for his species. Ultimately, the biggest problem facing all 13 otter species is lack of awareness. 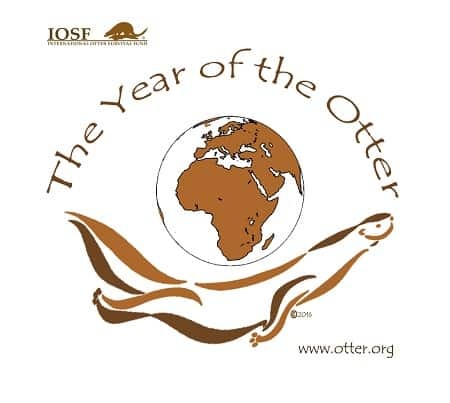 So IOSF has dedicated 2016 as the YEAR OF THE OTTER, aiming to draw attention to the plight of the world’s otters and raise funds for conservation. We want everyone to get involved in spreading the word about the importance of otters. We have translated Otter posters into many different languages, and they can be downloaded here. Please consider donating to our crowdfunding page and passing this post along to friends and family. And if you want to learn more about Hairy Nosed Otters and the other 12 species worldwide, you can read more in the book Otters of the World, which is available in the IOSF shop.